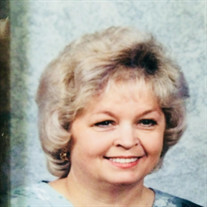 Eula Hensley, 71, Fall Branch, went to be with the Lord on Sunday, April 29, 2018, at her home. She was a member of Lovelace Missionary Baptist Church and had retired from Tennessee Eastman. She loved to travel and to go to yard sales. Eula's favorite place was the beach. She was a very beautiful and loving soul to all who knew her. Eula was preceded in death by her father, Martin Christian, Jr., and her nephew, Chris Miller. She is survived by her husband of 49 years, Gary Hensley; two daughters, Sharon Banks and Ginger Smith and husband, Jeremiah; one grandson, D. J. Banks; mother, Janie Christian; six sisters, Sara Tipton, Evelyn Bailey and husband, Bobby Joe, Sr., Phyllis Miller Thorpe, Dana Horne and husband, Ken, Florence Hilton and husband, Danny, Valerie Davis and husband, Ron; four brothers, Joe Christian, Manuel Christian and wife, Ann, Kyle Christian and wife, Chris, Lawrence Christian and wife, Katie; her special dog, Cissy; and a host of nieces and nephews. The family would like to extend a special thanks to her sister, Phyllis, and her sister-in-law, Donline, Amedysis Hospice and two special nurses, P.J. and Tracy. The family will receive friends on Tuesday from 5 to 7:00 p.m. at Hamlett-Dobson Funeral Home, Fall Branch. The service will follow at 7:00 p.m. in the Chapel with Pastor Allen Brummett officiating. The graveside service will be held on Wednesday at 11:00 a.m. at Lovelace Missionary Baptist Church Cemetery. Family and friends will serve as pallbearers.